Rhea is Saturn’s second-largest moon after Titan, but at 950 miles across (compared to 3,200!) 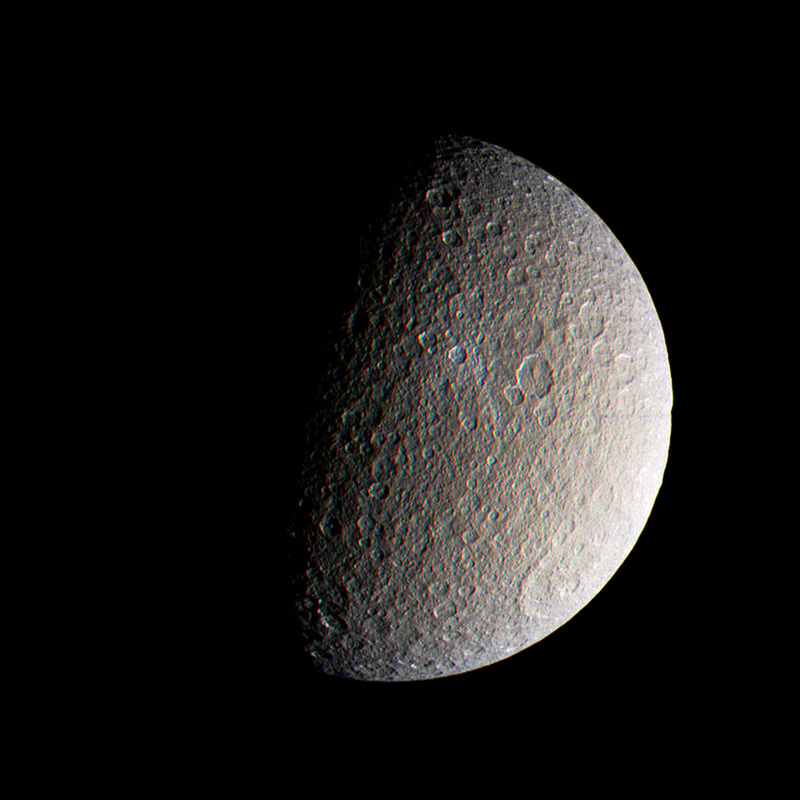 Rhea is less than a third Titan’s diameter. Its high reflectivity is a result of its mainly being composed of water ice, which is harder than rock is on Earth at Rhea’s frigid temperatures of -300º F. Even colder than sister moons Dione and Tethys, Rhea is perhaps the most extensively cratered world in the solar system. Credit: NASA/JPL/SSI. Edited by J. Major. Next Post Is This Comet SWAN’s Swan Song?